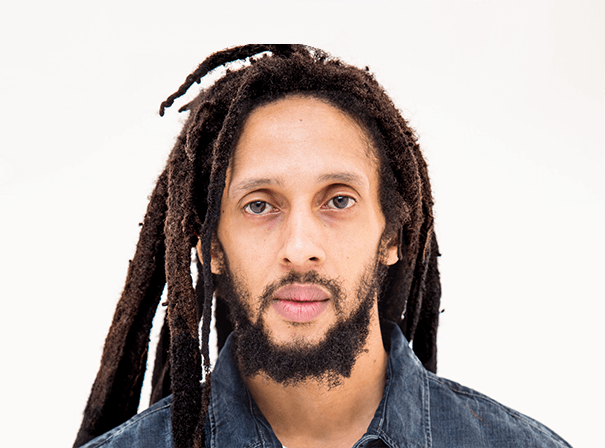 Julian Marley’s father is the internationally acclaimed reggae artist _Bob Marley, whilst his mother is Barbados-born Lucy Pounder. In light of this it is no wonder that Julian is now a revered artist off his own back. This acclaimed singer-songwriter, producer, roots-reggae musician and humanitarian is a Grammy Award Nominated self-taught musician mastering the bass, drums, guitar and keyboards. At this point he has played around the world with The Uprising, has been involved with a series of ‘Africa Unite’ performances that started in Ethiopia and touched down in Ghana and Jamaica as well as, at the request of the Jamaican government, Julian Marley and The Uprising performed during the 2008 Olympic Games in Beijing, China, and celebrated along-side Jamaica’s Gold medal-winning runner, Usain Bolt. Whilst Julian was growing up in Jamaica, his studies in music began under influential reggae stars such as Carlton Barrett, Earl “Wire” Lindo, Tyrone Downie, Aston “Family Man” Barrett and Earl “Chinna” Smith, all of whom inspired the then fledgling song-bird. In 1996, Julian released his debut entitled, Lion in the Morning, which launched him into the public eye and since then he has released great works like Lion in the Morning and Awake, which took home the award for ‘Best Album of the Year’ at the International Reggae and World Music Awards (IRAWMA) in New York City. Julian has also contributed a vast range of musical elements to singer Lauryn Hill’s Grammy Award winning album, The Miseducation of Lauryn Hill, and also joined his siblings Stephen, Cedella, Damian, and Kymani to contribute a version of the single, ‘Master Blaster’ for Stevie Wonder’s tribute album entitled, Conception: An Interpretation of Stevie Wonder Songs. As such, all this means that Julian Marley ranks higher in the consciousness movement of music than most reggae artists recognised today.